You don’t have to be an expert birder to participate. We will have 5 or 6 groups covering different parts of the count circle and there will be experienced birders in each group. The main goal is to have fun – get out and see what birds are about, learn more about winter birds in our area, and have some social birding. 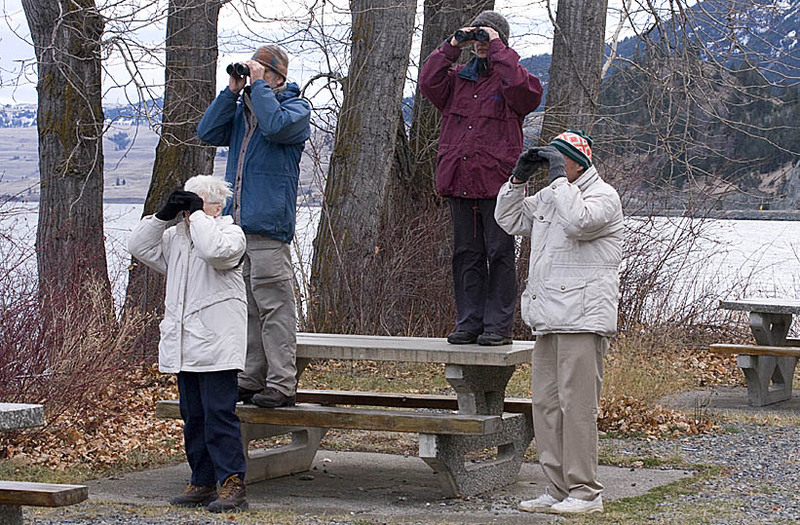 If you are interested in joining a group to participate in the Merritt Christmas Bird Count please send an e-mail to nicolanaturalists@gmail.ca or phone 250-378-2468. We also have a post-count pot-luck supper where we tally up the count numbers and share experiences of our day’s birding. With any luck we will encounter some less common species such as this American Tree Sparrow. 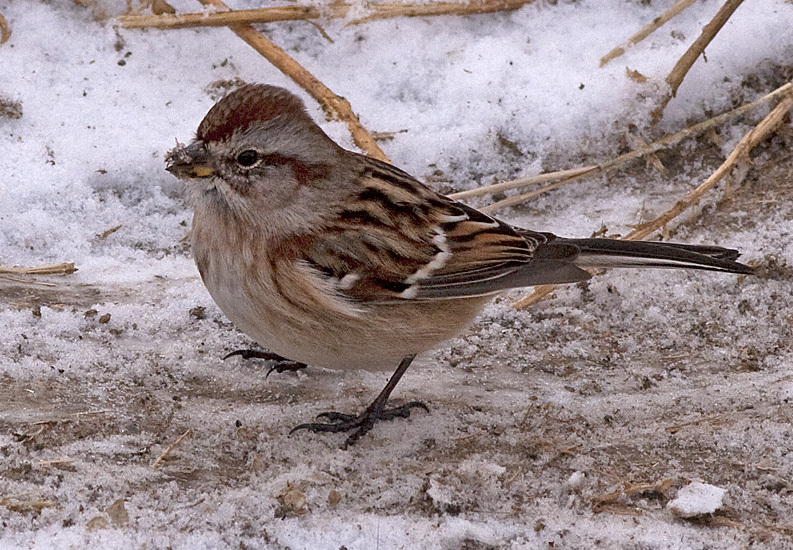 American Tree Sparrow in the Merritt Christmas Bird Count, Dec 2012. Photo: © Corey Burger.